With a number of journalists in prison, Azerbaijan’s authorities are now attacking ordinary citizen’s freedom of speech. A 58-year-old man in Nakhichevan, Azerbaijan’s “region without rights,” has been given an 18-month-sentence for writing dozens of “slanderous” anonymous letters to government officials. 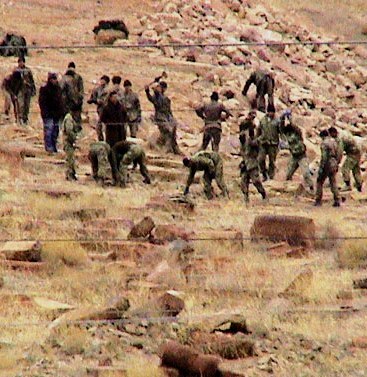 APA’s local bureau reports the investigations found out that resident of Gahab village of Babek region, Aliyev Novruz Safar, 58, had written tens of groundless slanderous letters. Novruz Aliyev faced charges under article 147.2 (slander, which is connected with accusation of committing serious or especially serious crime) of the Criminal Code. Nakhchivan city court sentenced Novruz Aliyev to 18 months in jail. In the meantime, Azerbaijan is building new prisons, one of which was opened in Nakhichevan in summer 2008. For Armenians, Der Zor has come to have a meaning approximate to Auschwitz. Each, in different ways, an epicenter of death and a systematic process of mass-killing; each a symbolic place, an epigrammatic name on a dark map. Der Zor is a term that sticks with you, or sticks on you, like a burr or thorn: “r” “z” “or” — hard, sawing, knifelike. Der Zor: A place to which hundreds of thousands of Armenians in 1915 and 1916 were forced to march, a final destination in the genocide of the Armenians carried out by the Ottoman Turkish government under the cover of World War I. In May 2005, after I was invited to lecture in Beirut through the auspices of the U.S. State Department, the Armenian church arranged for me to travel into Syria — to Aleppo, an important city of refuge during the Armenian genocide, and farther east to Der Zor. I realized now that Der Zor was a huge region of arid land. After a couple of hours of nothing but the occasional flock of sheep, the car stopped in the middle of nowhere, and up the hill at the side of the road I saw a small chapel of white stone. “Right here,” I said pointing down. “Yes.” He explained that the Syrian government had offered the Armenian church a plot of land for a memorial. I walked up the slope toward the chapel. I put my hand in the dirt, grazing the ground, and came up with hard white pieces. “Our ancestors are here,” I muttered. Then I began, without thinking, picking up handfuls of dirt, sifting out the bones and stuffing them in my pockets. I felt the porous, chalky, dirt-saturated, hard, infrangible stuff in my hands. A piece of hip socket, part of a skull. Nine decades later. I filled my pockets with bones, compelled to have these fragments with me as I continued up the hill to the chapel. The floor was cool, and behind the altar was a wall of alabaster with a carved cross. With the evening sun pouring through a yellow glass window, the whole space was floating in saffron light. I tried to empty my head and let go of the graveyard I was standing in, to let go of myself. Let the breath go in, go out. On the plane back to the United States, I kept waking and sleeping. It wasn’t until we were over Labrador that I realized I was carrying organic matter from another country. The declaration card asked: Are you bringing with you fruits, plants, cell cultures, “soil, or have you visited a farm/ranch/pasture outside the United States?” The bones, now in resealable bags, were caked with soil, and although they weren’t cell cultures, what were they now, 90 years later? I put an X in the “No” column. Destroyed 24 000 head of cattle, 45 000 head of sheep, 8000 pigs. 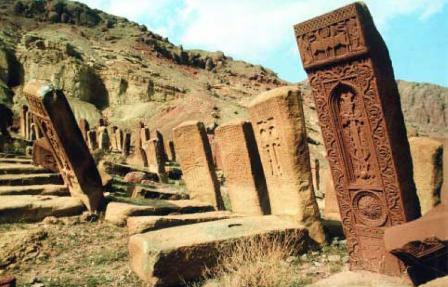 From 8461 architectural, art and historical monuments of the disaster area completely destroyed 1255, seriously damaged – 984, became half-destructed – 1216. Before Armenia could start rebuilding Leninakan in late 1988, struggle for independence from the Soviet Union intensified, and a war with a former Soviet neighbor, Azerbaijan, became inevitable. Leninakan was renamed Gyumri as Armenia became independent in 1991, but reconstruction took a slow path. Those who survived the earthquake started another chapter of struggle. In the face of economic hardship in all parts of Armenia, many residents of Gyumri left the country with a hope for a better life. They had seen how rich and generous the rest of the world was. Massive aid and support had reached Armenia following the earthquake, even bringing Jeb Bush, the son of America’s president-elect and vice president George Bush Senior, to the falling walls of the Soviet Union. Twenty years after the destruction, northern Armenia still bears the marks of the earthquake. May the dead rest in piece. Hope and salute to all the survivors, including to my ex-girlfriend A. whose baptism cross was lost in ruins during the earthquake (she was just a year old at the time).